Explore any of these professionally-made sales organizational charts by clicking on them for more details. 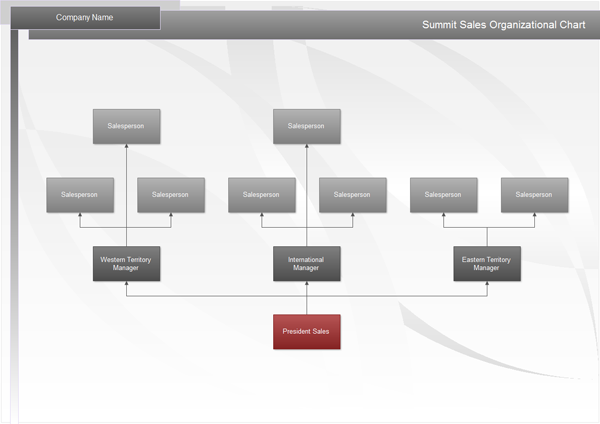 Create your own sales organizational chart today based on the handy org charting software. Below are top recommended sales organizational charts for you to easily and professionaly illustrate the inner structure of your organization. Moreover, feel free to try this great organizational chart software to create any well-structured sales organizational charts and retail organizational charts etc. 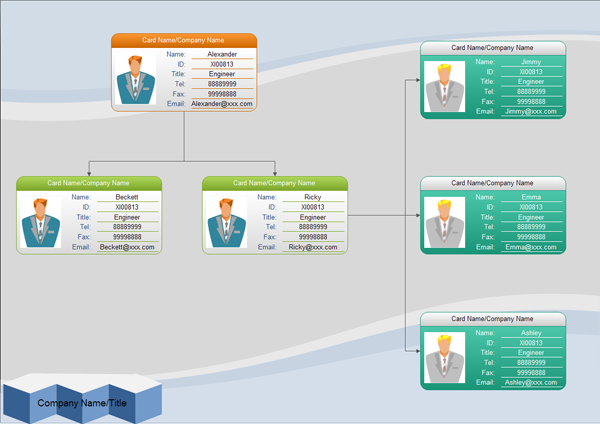 The first template here shows you a typical sales organizational chart structure. It covers the important functional departments and a sales team. For large enterprises some overseas offices may also be included. Inserting employee photos are quite productive for displaying your organizational framework as well as reporting relationships. New sfaffs could also get to know their workmates at the very first time. 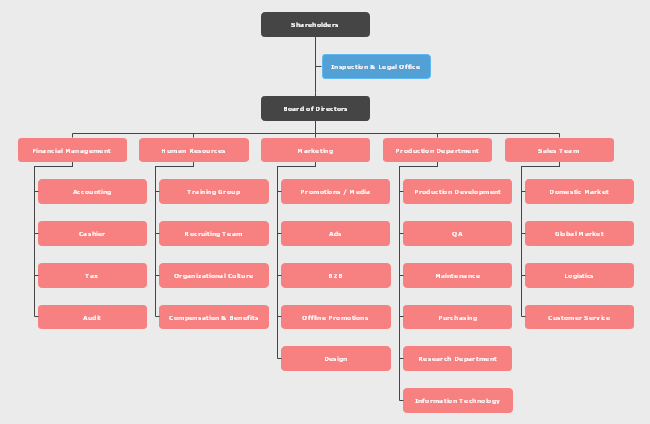 Here is a org chart template with photos, titles and names. 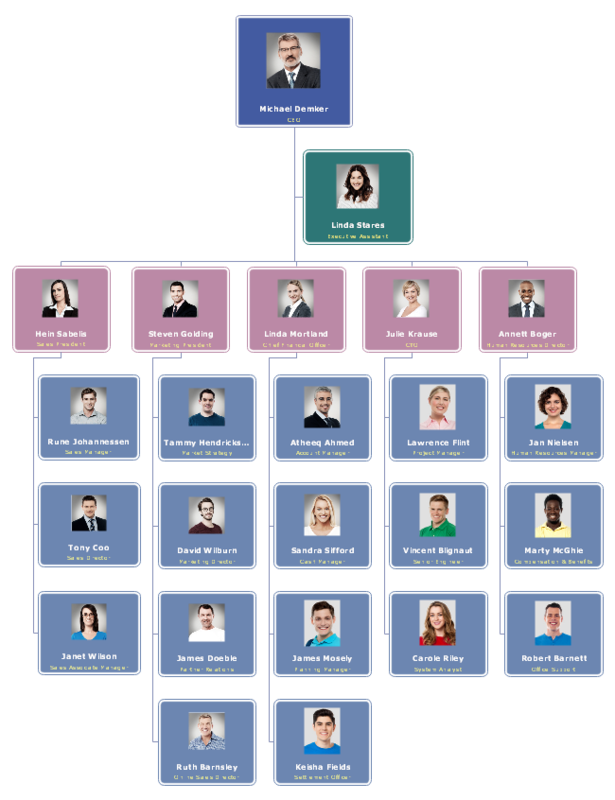 This is another sales organizational chart with photos, but with more employee details. 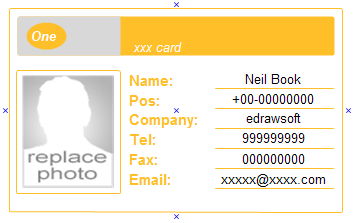 You can also see employee ID, contact info such as emails and Fax No. etc. Here is a sales organizational chart for small firms because it only has quite limited number of employees. Each of the three main departments has three salespersons.